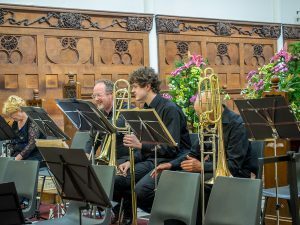 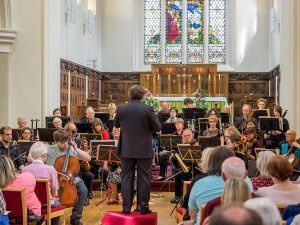 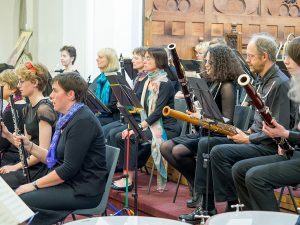 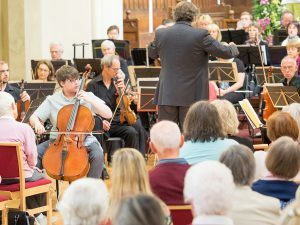 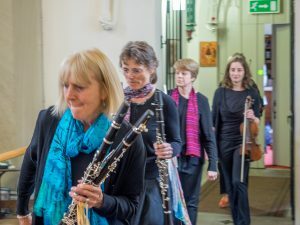 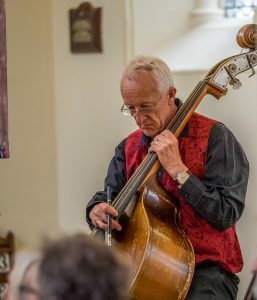 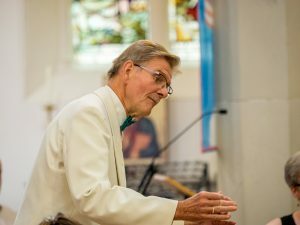 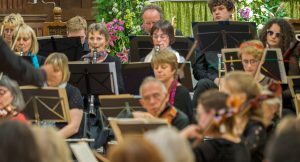 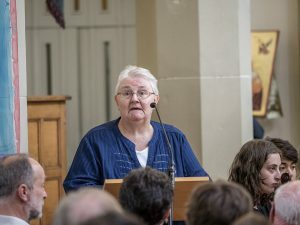 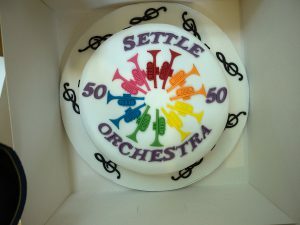 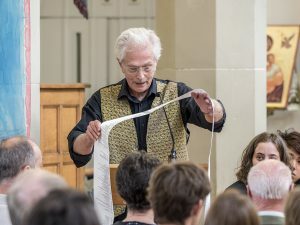 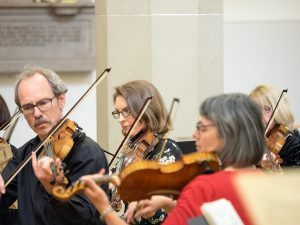 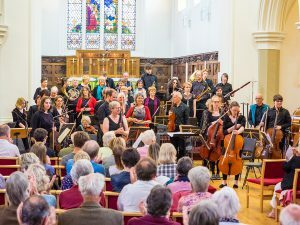 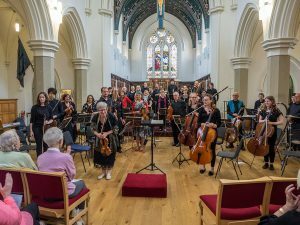 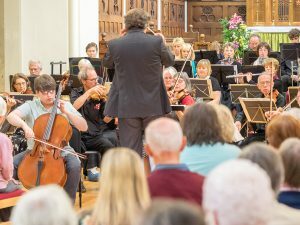 Settle Orchestra played in its 50th Anniversary concert on Saturday 24 June in Christ Church, Skipton. 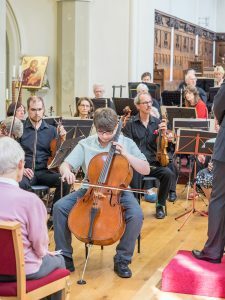 Here is a photographic record of the event. 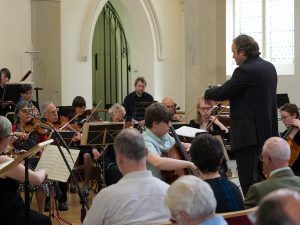 Members of the orchestra enter. 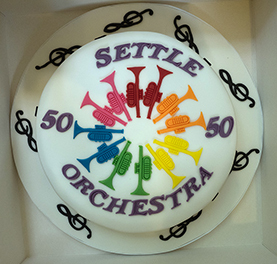 Chairman Danny Powell with a list of some of the pieces that the orchestra has played in the last 50 years! 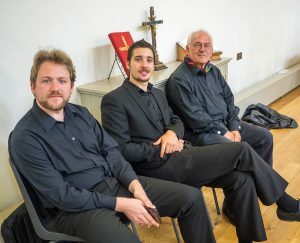 Edward Percival (centre), trombonist and composer of one of our commissioned new pieces.